Madrid’s world-class soccer team provides the inspiration for this Viceroy world-time watch. It’s not surprising that Spain’s most celebrated football club provides the inspiration for one of Viceroy’s most popular watches. 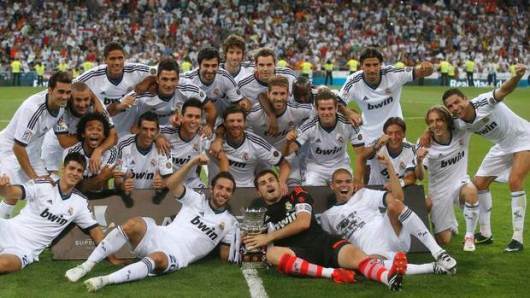 The highly successful Real Madrid professional soccer team travels the world defending Spain’s honor on the playing field. With a Viceroy Real Madrid 432833-05 on their wrist, they will never need to worry about being late for a match. This impressive 44 mm watch features an easy-to-read 24-hour dial that augments the conventional three-hand configuration. With a 60-minute scale inscribed on the stainless steel bezel and a 24-hour scale on the chapter ring, you’ll always know what time it is, day or night. There is also a convenient date window between 4 and 5 o’clock. This stunning three-hand configuration features a highly detailed white textured dial, luminous pencil hands, and a durable stainless steel case and bezel with a screw-in case back. The watch is powered by precision quartz movement designed to provide years of reliable service, and is water resistant to 165 feet. 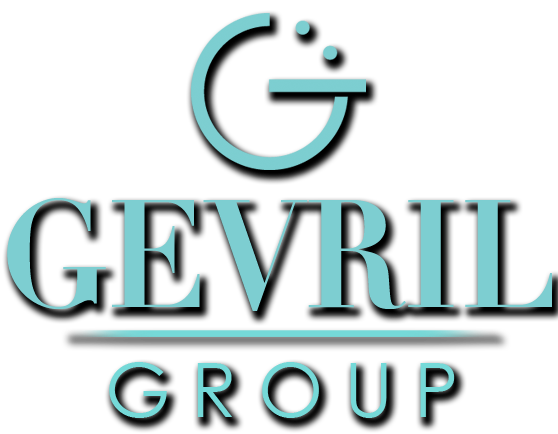 A scratch resistant mineral glass crystal protects the 24-hour display and a 2-year manufacturer warranty protects your investment. 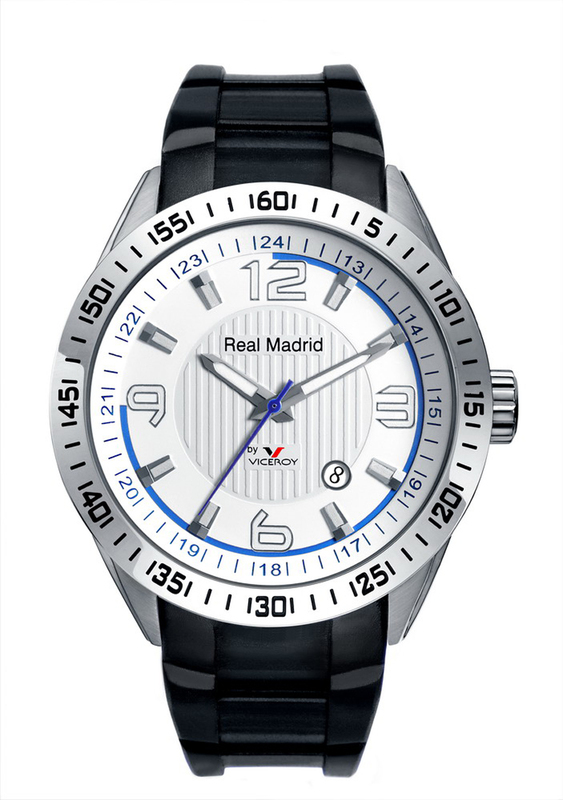 The Real Madrid 432833-05 has been fitted with a comfortable 23 mm black rubber band and tang buckle that gives the watch an aggressive sporty look. This masculine, sporty design is something any Real Madrid player or soccer fan would be proud to wear. Like all Viceroy watches, the impressive Viceroy Real Madrid 432833-05 is a testament to Viceroy’s unwavering commitment to quality craftsmanship and Spanish style. 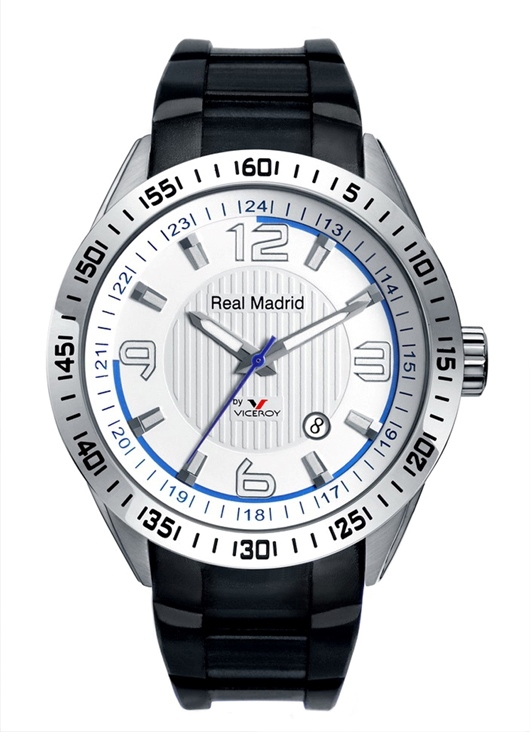 If you’d like to join a growing audience of discriminating watch aficionados who have taken Viceroy’s “It’s not what I have, it’s who I am” theme to heart, you need to take a closer look at the Real Madrid 432833-05. To put one of these sophisticated sports watches on your own wrist, contact an authorized Viceroy dealer immediately. Within 24-hours you’ll be able to reserve one of these stylish and affordable 24-hour timepieces for yourself. The RAPTOR collection from Police is for rugged, athletic wearers who won’t compromise style for utility. 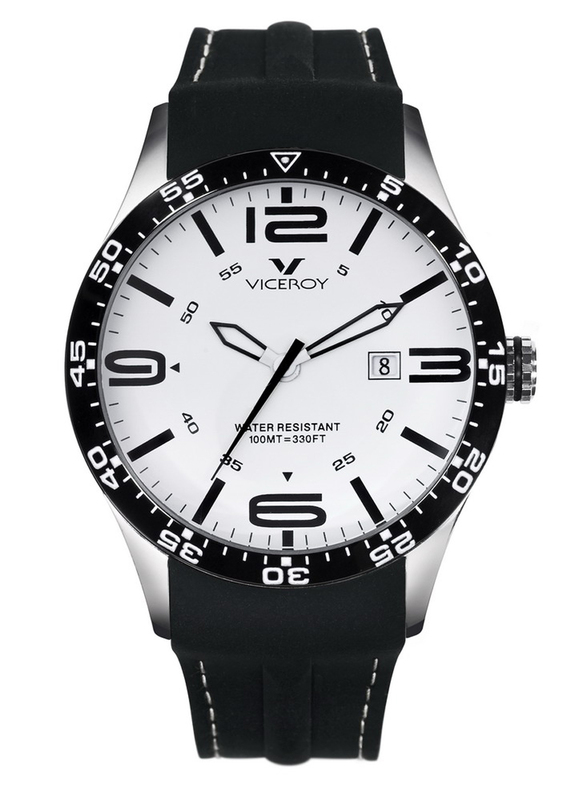 The watch’s cool silicon strap offsets a silver (shown below) or black dial packed with three time gauges and an ornate background. The intricate detail is complimented by the larger clock face, which showcases white and silver embellishments. 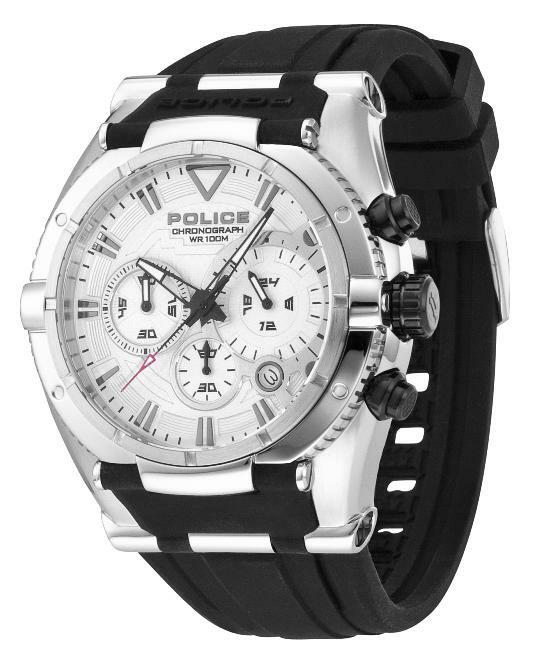 Striking and sporty, the RAPTOR is truly one of Police’s most engrossing timepieces.